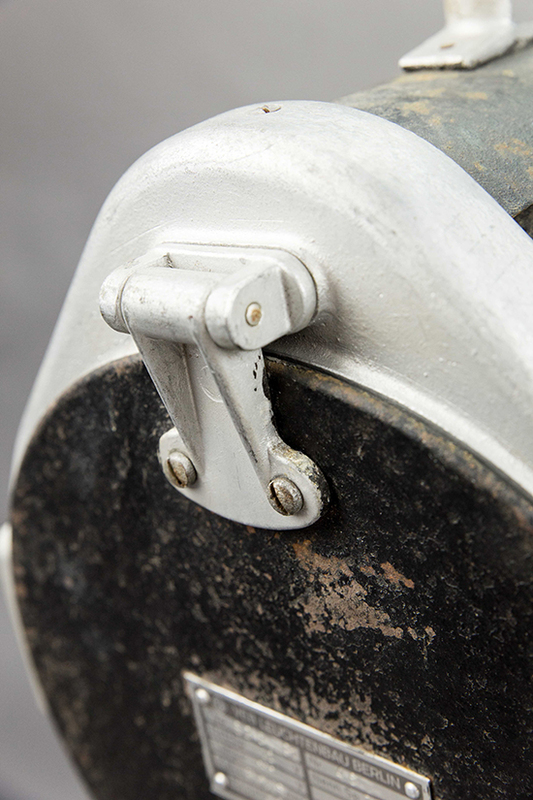 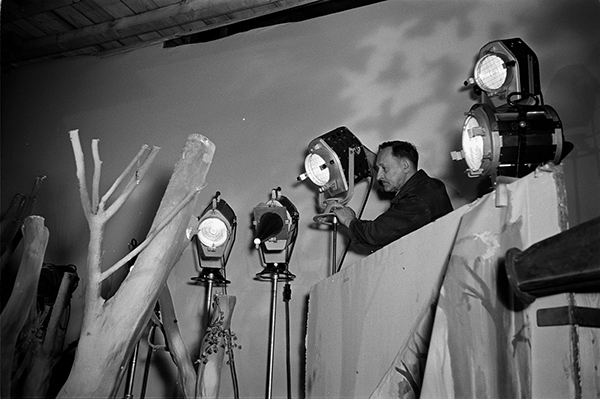 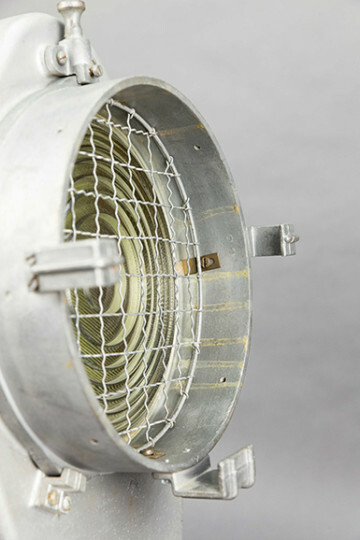 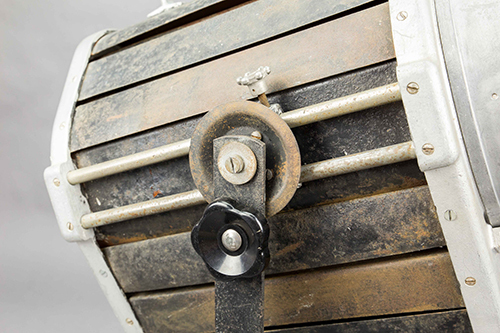 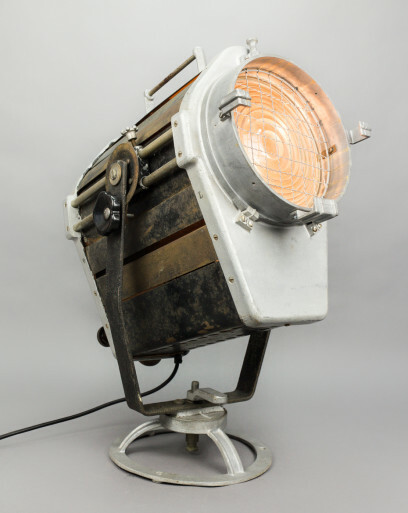 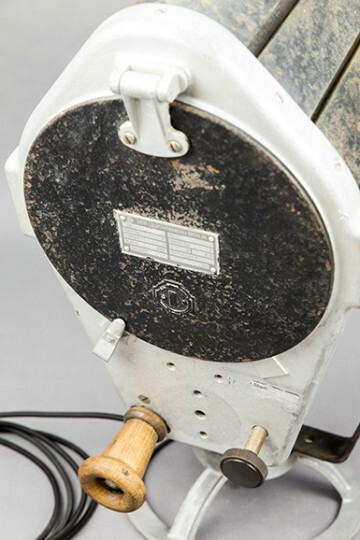 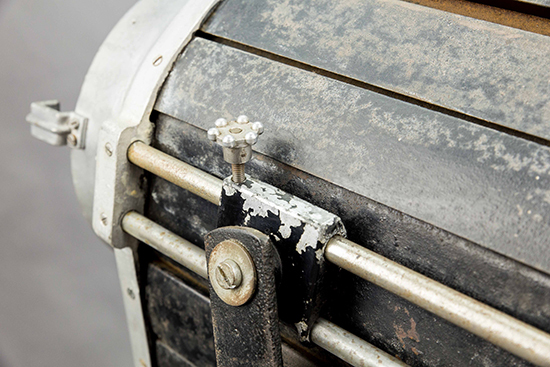 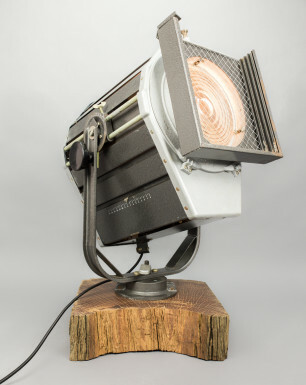 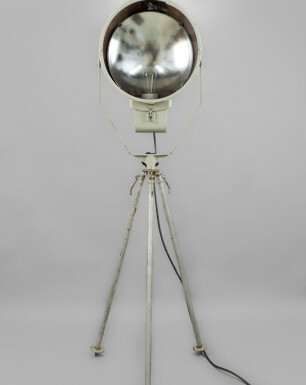 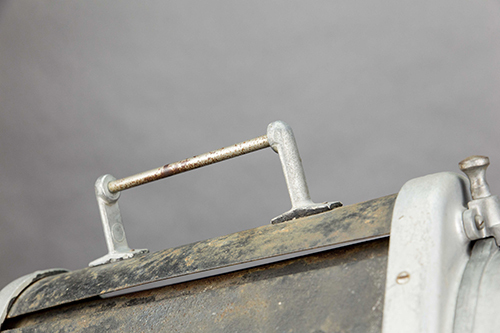 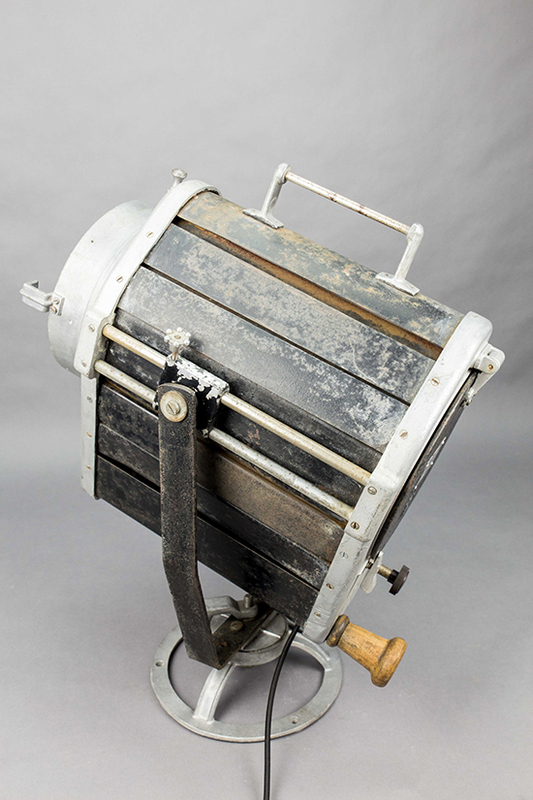 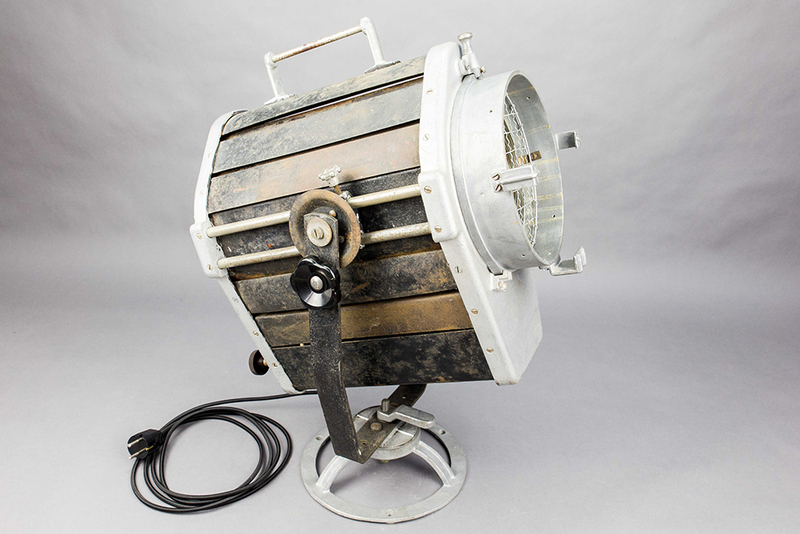 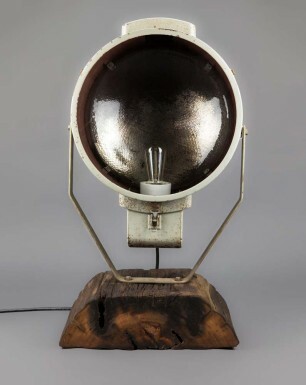 During the DDR era this Grey Owl functioned as a studio spotlight and illuminated objects from a great distance. 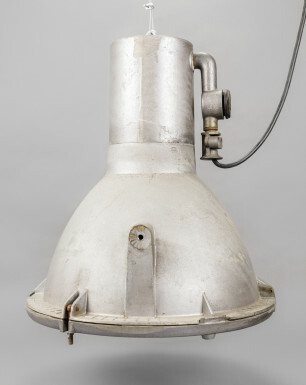 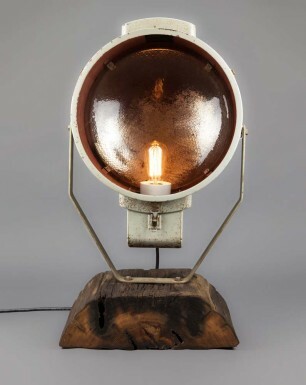 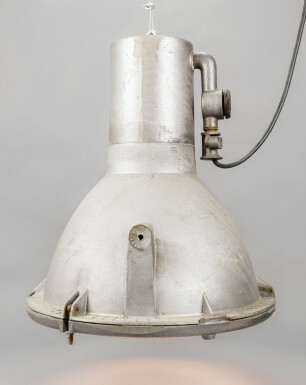 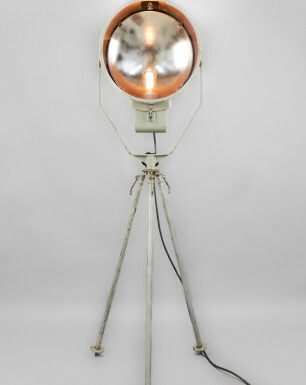 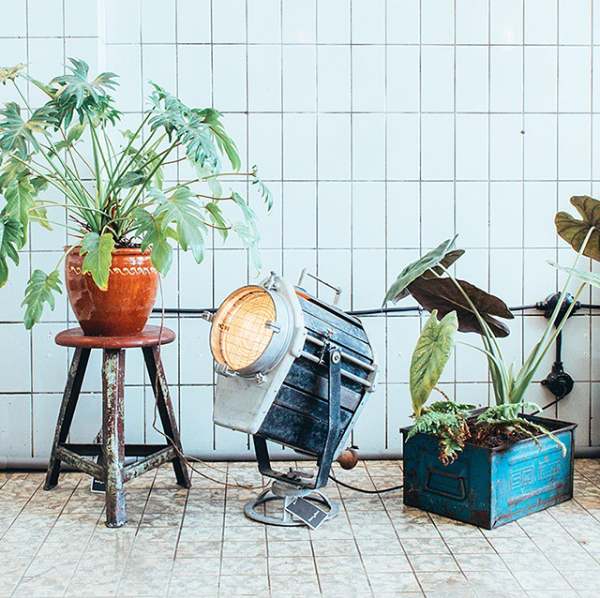 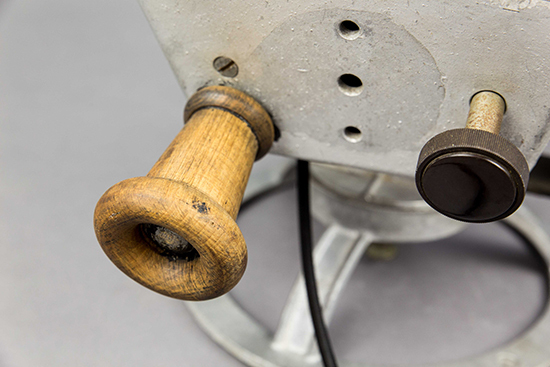 The characteristic fixture was manufactured by ‘VEB Leuchtenbau Berlin’ and consists of a black steel-plated body, holding an E27 socket and a glass window that provides a diffuse light. 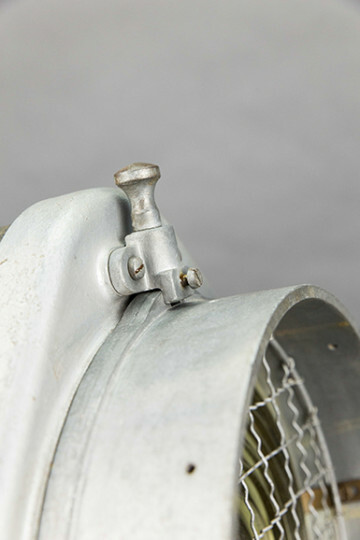 Furthermore it holds an adjustable mirror, that enables the spotlights’ beam to narrow down or become wider. 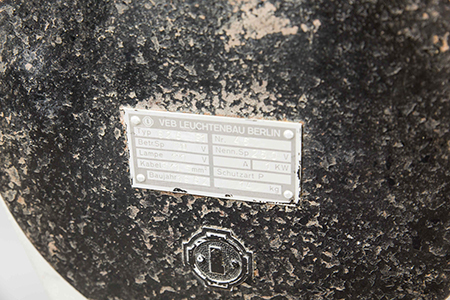 Together with several other fixtures like the ‘Barn Owl’ and the ‘Great Grey Owl’, the Grey Owl originates from a military site in the outskirts of Berlin. It was found at the theatre in the complex, where it illuminated the entertainment of the Soviet military staff. 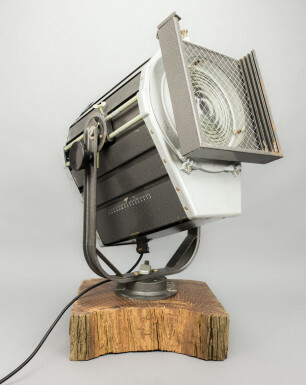 The Grey Owl comes with a special 46 watt E27 halogen bulb, a 1,5 meter matt black cable, and a passport describing its history and origin.